Data flow diagram, also often referred to as DFD are diagrams that visually represent the flow of data through a system. They allow the user to see what kind of information will be input to and output from the system and where the data will be stored. 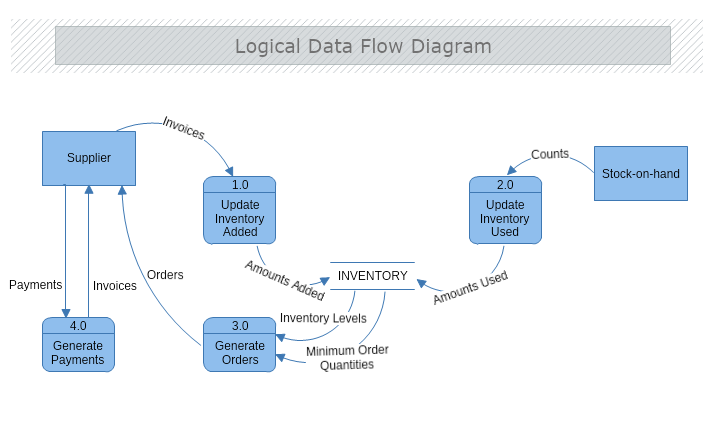 What are data flow diagrams used for? A system can be quite complicated especially when it contains a lot information and processes. Here is how data flow diagrams come in handy. Their purpose is to show the systems as whole with its scopes and boundaries while it illustrate the movement of information between its elements. The DFD diagram differentiate from any other kind of diagrams with its concentrate focus on the flow of date throughout the system allowing the user to easily see how the system will operate, what is the system purpose and how it will accomplish it. They also illustrate how the data will enter, how it will be process within the system and where it will be stored. 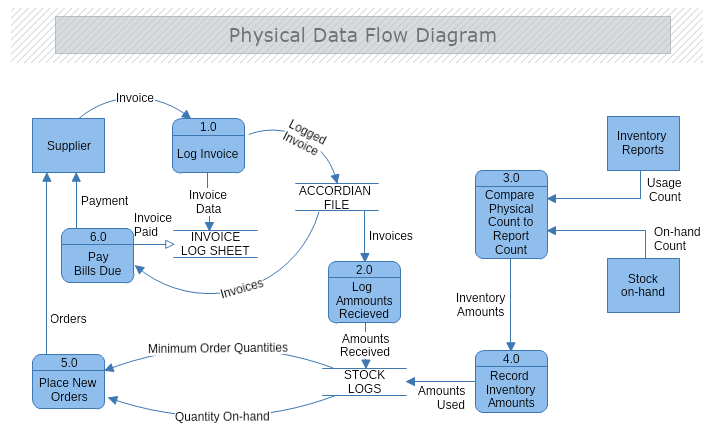 Data flow Diagrams are divided into two main types: Physical and Logical. The Physical DFD represents “how” the system will be implemented, while the Logical DFD focusses on the system itself and “what” it will achieve. There are different levels of DFD according to the purpose they are drawn to serve. The top level diagram that illustrates the entire system in its relationship to any external entities is called a Context Diagram and also referred to as Data Flow Diagram Level 0. DFD Level 1 illustrate the main functions within the system. This level shows more detailed breakout of the Context Level Diagram, representing how the data enters and exits the system, where it is stored and how the basic processes convert it from one form to another. DFD Level 2 or higher go into deeper details showing how the data flows inside the main process of the system. We should go as many levels of Data Flow Diagram as needed until we reach the desired level of detail.